Our Winter Office Crew (A/K/A The W.O.C.) returned last week from our camp conference in Atlantic City. This consists of four full “reveille-to-taps” days of intensive educational and training seminars as well as terrific colleague networking and programming research. We are often referred to as one of the top leaders in the camp industry; others look to us for advice, standards and guidance. We are proud of that. Being surrounded by other impressive camp professionals (it is an amazing industry) inspires us to be even better, reach higher and dream bigger while always staying true to what makes us Camp Towanda. The conference pumps us to continue to enhance, improve and get even more psyched to provide the utmost of what I now call the “Camp Towanda Education”. 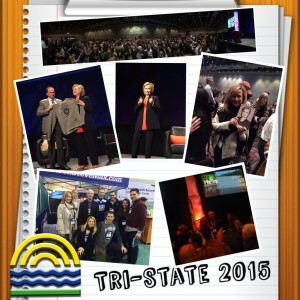 This continuing education was highlighted even more so by Hilary Clinton. 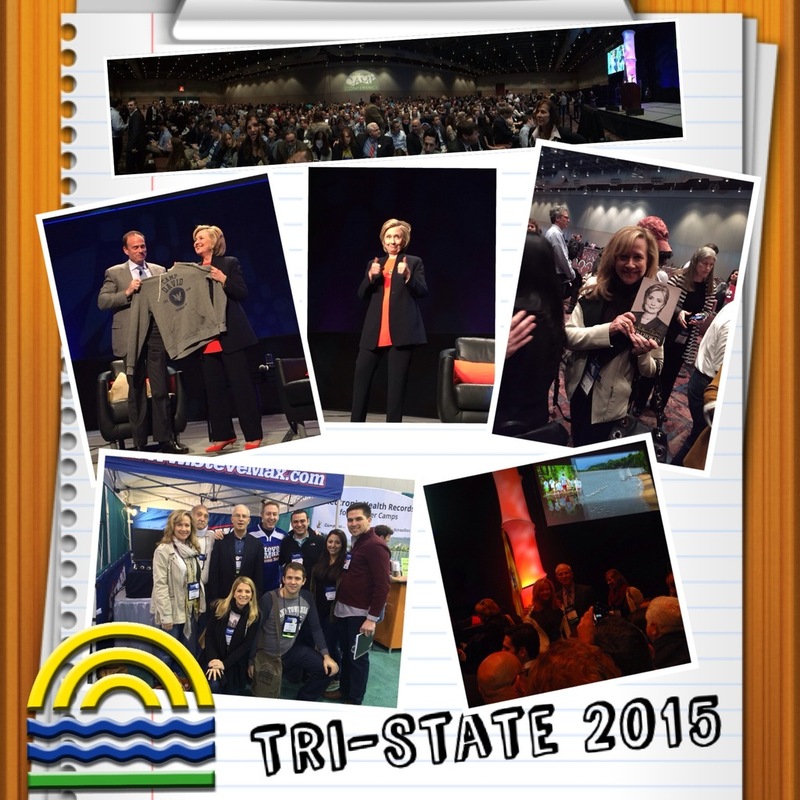 You may have seen on the news that Hilary Clinton was our Keynote speaker. Despite anyone’s political compass, I felt she appropriately acknowledged, recognized and articulated the impact and richness that the camp experience provides as an important component of a child’s education. She also shared a great personal story about sending off Chelsea to camp for the first time, which all parents will appreciate. • “We need to create more opportunities for people to spend time together & build relationships” (referring to rather than being online). • “It takes a village to raise a child and camp is a village”. In addition to recognizing the benefits of camping, she specifically mentioned the impact of SCOPE (and the 1000s of children we have impacted with that program). As an extra bonus, she remarked: “We really need camps for adults. We have a huge fun deficit in America.” The good news is that we DO have camp for adults…. Check out our Labor Day Family Weekend or Soul Camp (We are happy to send you more information about both of these post season events)! Stephanie and I were honored to sit front and center in the first row of the over 3000 camp colleagues in the audience. We had the opportunity to meet the former First Lady, Senator and Secretary of State personally after her talk, introduced as the owners ofTowanda and the President of SCOPE; we had a photo-op (not released yet) and received an autographed copy of her most recent book, “Hard Choices”. Last week I also was elected to return to the ACA Board of Directors (American Camp Association). Now, we are back in the winter office and ready to rock and roll! Once that snow melts, off to camp! From The First Family Of Camp Towanda!